What a lovely little bottle size – one of our customers order this to mix with warm milk – apparently a Russian cure for persistent coughs! 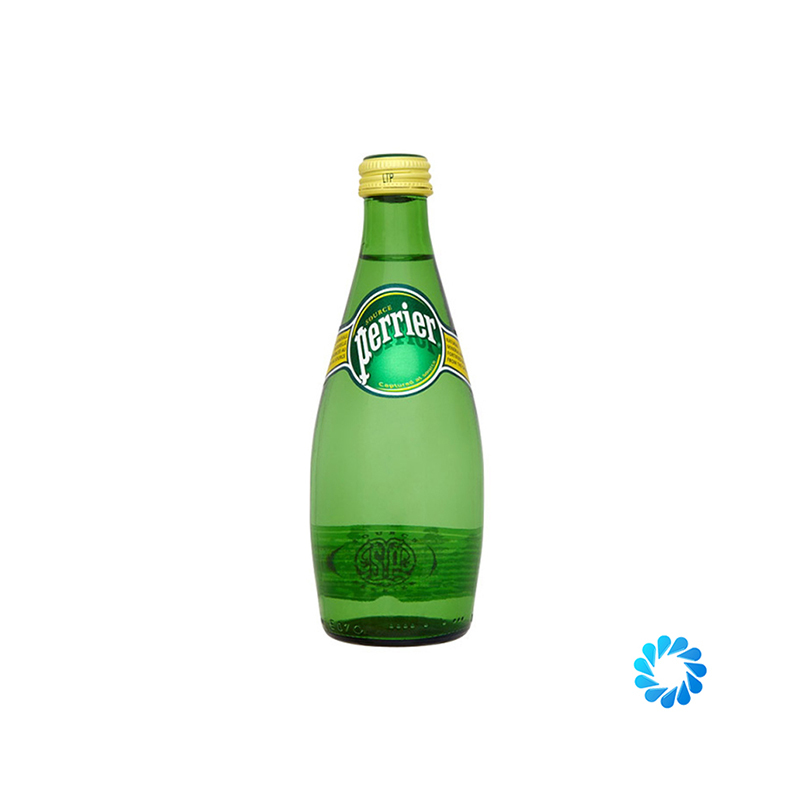 Perrier is a sparkling water sourced from a spring in the Gard district, in the French city of Vergèze. The strength of the carbonation gives Perrier a unique mouthfeel, with the natural volcanic carbonation added to during the bottling process to account for gases lost during extraction. As such, Perrier could be described as ‘aggressively sparkling’. The green Perrier bottle is based on the shape of the Indian club equipment at which founder Sir Saint-John Harmsworth used to go for exercise. Aqua Amore are proud to stock Perrier naturally sparkling mineral water for you to dine with, drink and hydrate.